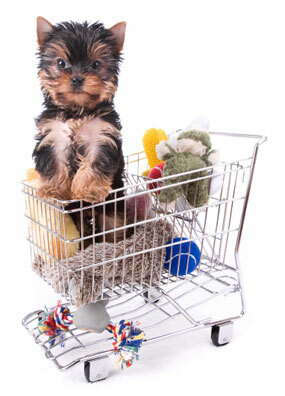 An online survey taken at the end of April 2012 revealed that pet owners are spending more than ever on their pets, even though they may be restricting spending on themselves. This is great news for pet-related businesses, to be sure. Here are some surprising trends revealed by the survey, conducted by Harris Interactive on behalf of CouponCabin. The survey population as a whole responded more conservatively to the questions regarding pets, as it included non-pet owners. Thus, the worth of pet massage, pet nail polish, hair styling beyond regular grooming, and body wraps, were considered over-the-top. But, even including those adults without pets, the population was more positive toward experimental health treatments, anxiety treatments, and lots of toys for pets.